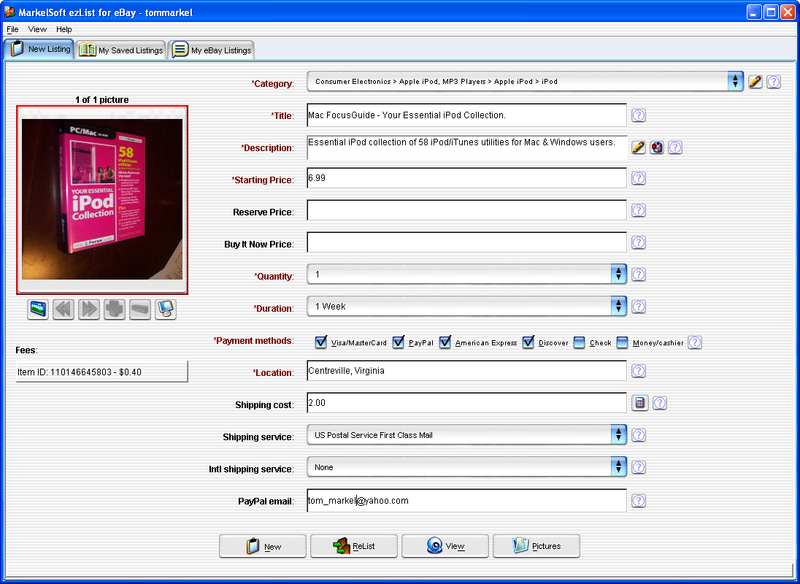 A new version of ezList 2.1 for eBay has been released. The new release fixes some minor bugs and adds picture folder creation by user. ‘My Saved Listings’ has a new button to browse for saved listings. This is useful is you have a listing saved somewhere else.